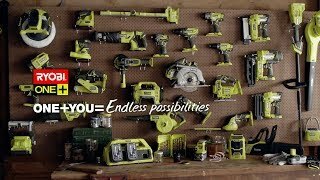 You'll never struggle to see your work with the Ryobi 18V hybrid worklight! This powerful workshop light is the world's first foldable hybrid LED shoplight, giving you clear, powerful light in a versatile design. As a hybrid light, you can use either mains electricity or a Ryobi battery pack to power this convenient lighting solution. That means no matter where you are, you can take it with you. Forget about those dark, out-of-the-way corners! LED lights don't only provide quality illumination; they also don't get hot like other forms of lighting do, meaning you will stay more comfortable in tight quarters. This hybrid shoplight is part of the ONE+ range. The ONE+ system was designed for your convenience - it is all about using one consistent battery design to power more than 50 power tools. That means you buy fewer batteries, giving you more to spend on new tool skins! 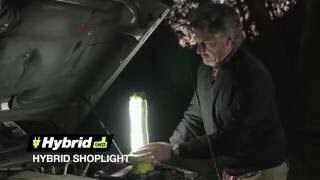 Discover the Ryobi 18V hybrid worklight today at your local Bunnings Warehouse.